Odds are, you’ve seen mixed martial arts fighters on TV at one time or another. And there’s no question these warriors receive incredible training to be able to achieve all that they can. Now you, too, can train like a fighter and get all the same body-chiseling benefits these fighters receive…without the fight! That’s because the veteran 7th-degree black belt fighters at Imperial Martial Arts have put together an incredible Mixed Martial Arts program for adults based on the very same rigorous workouts the pros use! When you take Mixed Martial Arts classes at Imperial Martial Arts, you don’t have to be a fighter to train like one. Unlike the rough-edge mixed martial arts as seen on TV, we will maintain the respect and discipline of a traditional martial art. Consistently and professionally, we will teach you the basics of Mixed Martial Arts without the brutality of it. 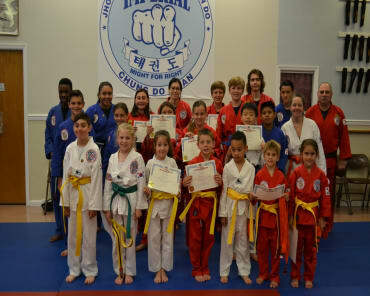 To succeed in our program, you need no previous experience in boxing, grappling, wrestling or martial arts whatsoever. Our step-by-step Mixed Martial Arts classes are highly interactive, suitable for both men and women, and presented in a safe and friendly manner. Mixed Martial Arts classes at Imperial Martial Arts will change your life and get you into the best shape possible. •Increased energy throughout the day. •Huge reduction of day-to-day stress and anxiety. •Better cardiovascular function and lower blood pressure. There’s no reason to put off mixed martial arts classes at Imperial Martial Arts. You can get started right away with a FREE introductory class. To learn more, just complete the form on this page and we’ll send you everything you need to get started!